I wanted to image a double star in need of attention using a different method, a new technique, now that the WDS "neglected" system as been decommissioned. After filtering for "old" data, I came across the entry 07481+0525 STF1143 with the last entry reported in 1825! Almost 200 year old data. Luminance only, ½ second subexposures, 12 stacked shots. FITS Liberator, Paint.NET. North is up; east is left. 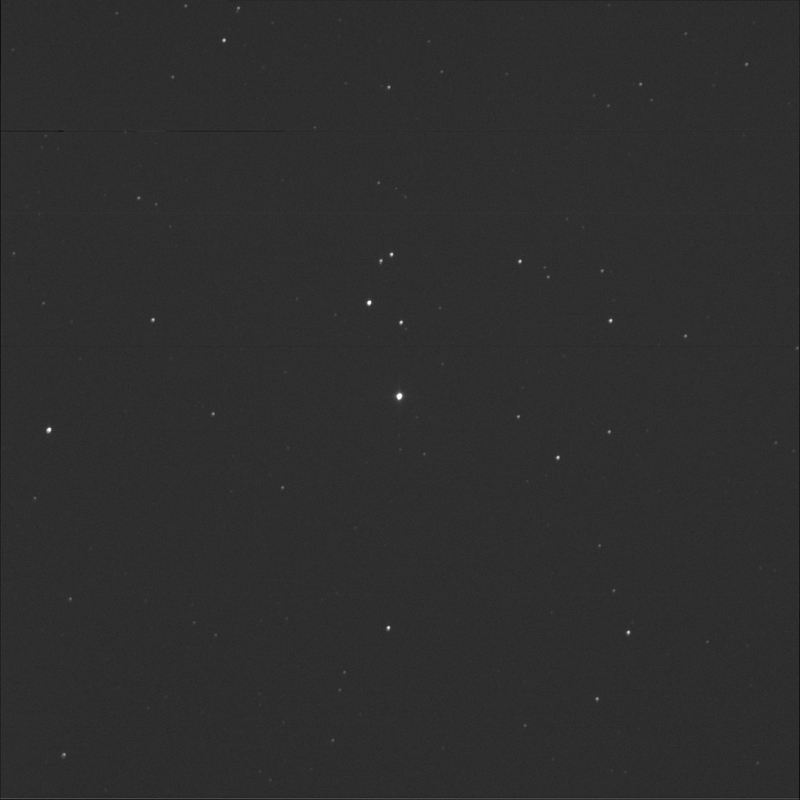 Struve 1143 is also known as HD 63241 or SAO 115947. I found some notes in the WDS database: Some error in position. See note in BDS II. Bu_1906; This may be STF1134AB with a larger error than is typical for a FGW Struve measure. 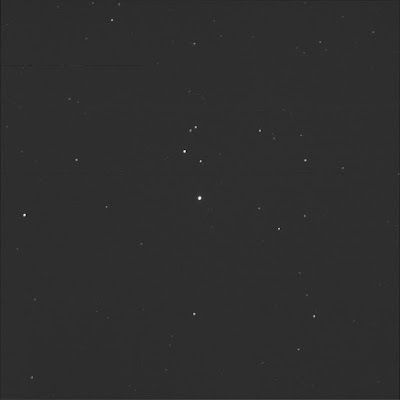 Now Sigma; 1143 is supposed to be a somewhat tight pair of unequal stars. The primary is mag 6.6 with a secondary at mag 11. The separation is purportedly 9.3 seconds of arc. B is supposed to the to the south-east. The equal part of stars to the north (not noted as a double) are separated by about 22". So 1143 A and B should be visible at half that distance. What did Friedrich Georg Wilhelm see? Another curious thing about this is that SkyTools shows a star north-east of the upper pair, of equal brightness. It says it is NSV 3739. I see nothing. Strange. When I went looking for the completed data the morning after, the target showed as pending... Some short of glitch which in the end worked itself out.